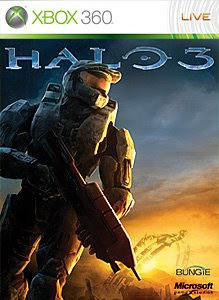 Halo 3 is back on top with no doubt thanks to the Mythic Map Pack. The Map pack is very fun, so I can see why Halo is back at Number 1. Also Resident Evil 5 is still on the list, which may be due to the Versus DLC that just came out. It seems DLC for games can help them stay on the list. Next Week comes the DLC for Left 4 Dead, so I cant wait to see how the list will be next time. Come back then and find out!